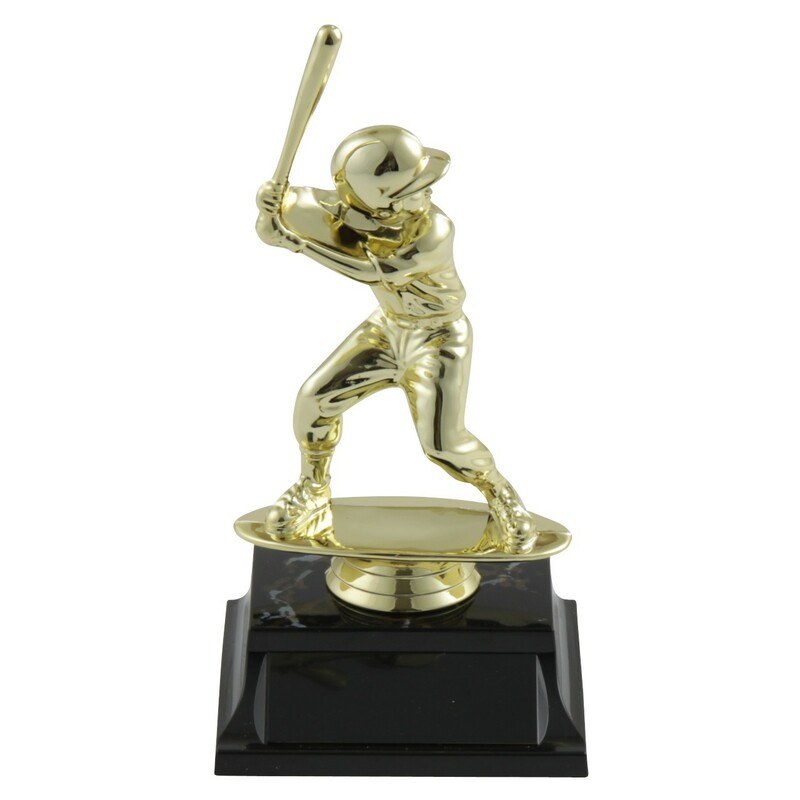 These trophies are perfect for young players or those just starting out in little league. 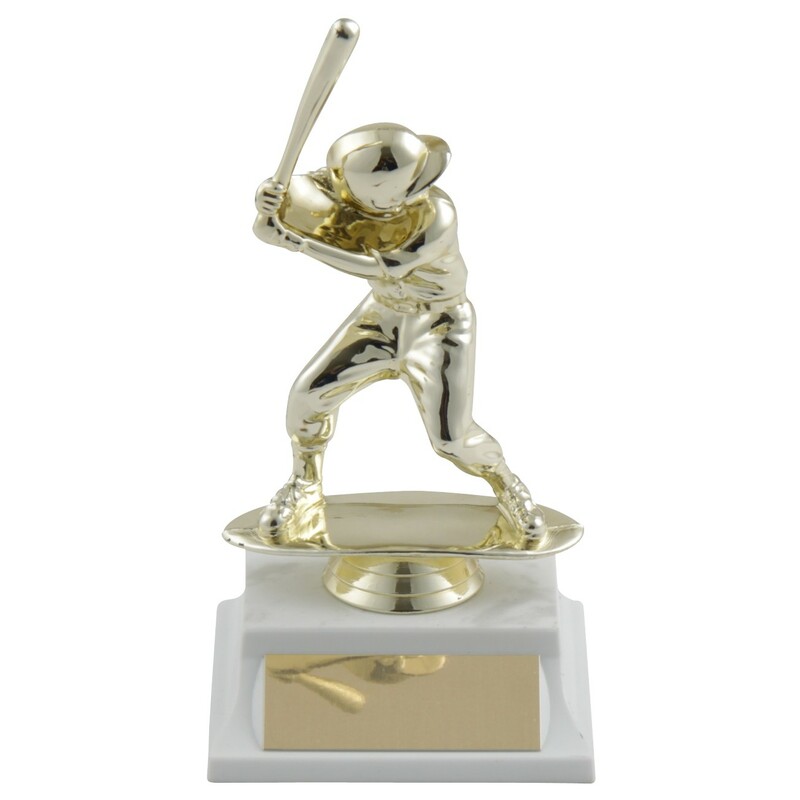 The Youth Baseball Participation Trophy features a gold-tone boy or girl figure in a batting stance on your choice of trophy base. 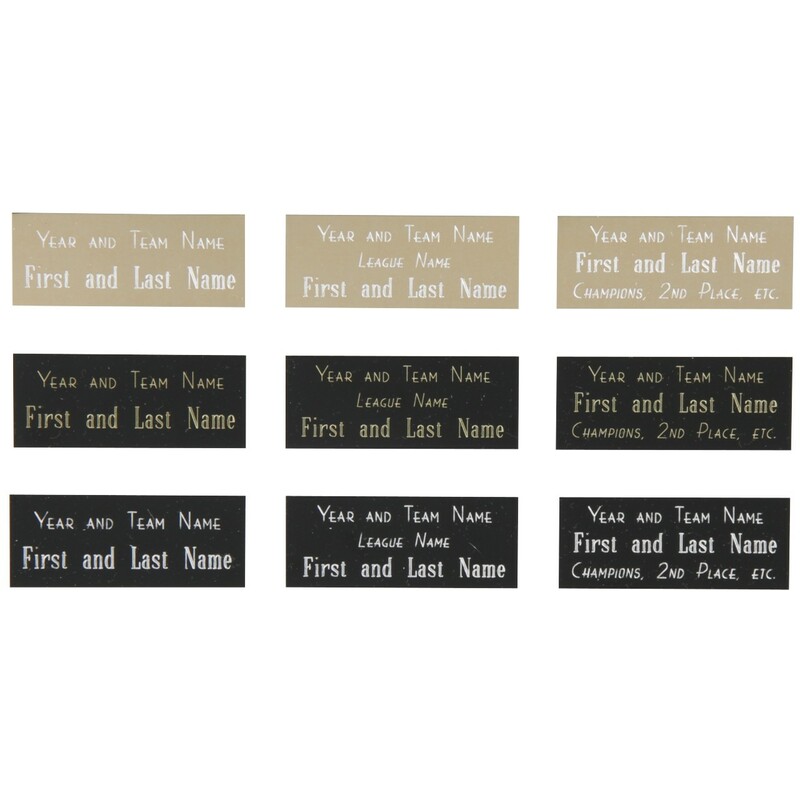 These are great, inexpensive trophies the entire team will love! 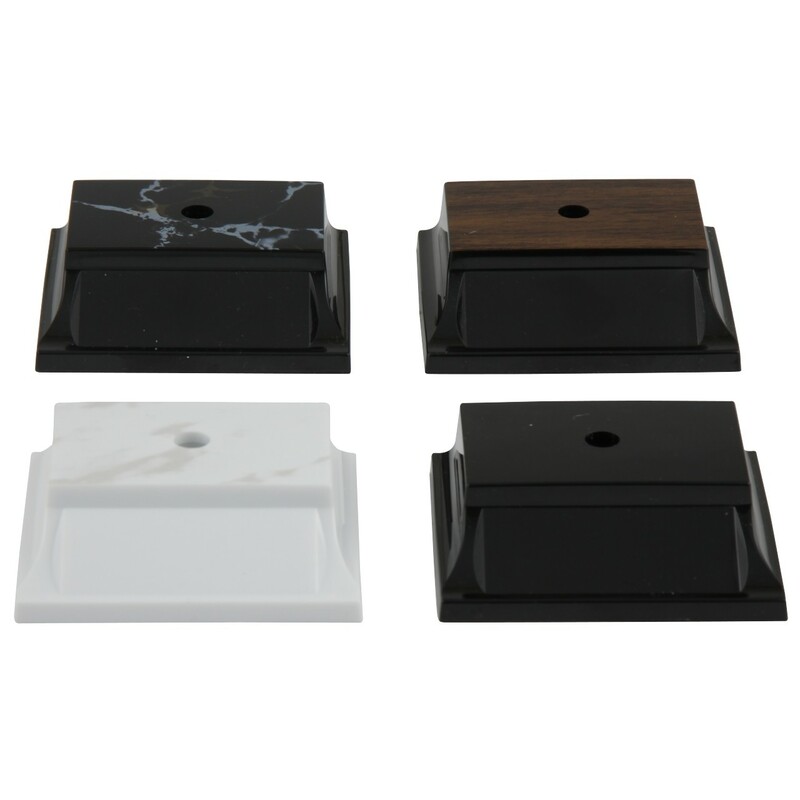 Your choice of base colors include white with marble top, black with marble top, or black with walnut-grain top. Award these adorable trophies on your next baseball game!